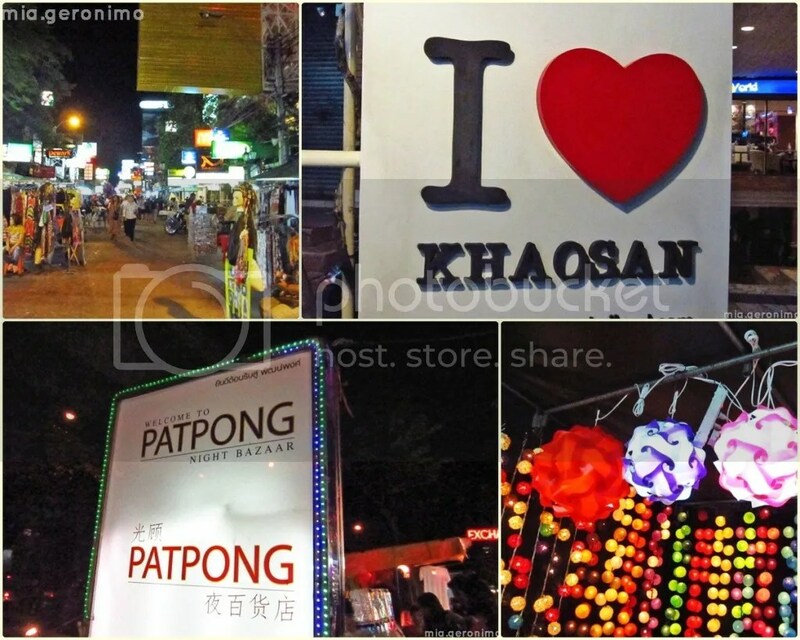 Posted on July 30, 2012 by Mia G.
Of street food, street shopping, street parties, street massages… Bangkok has it all! 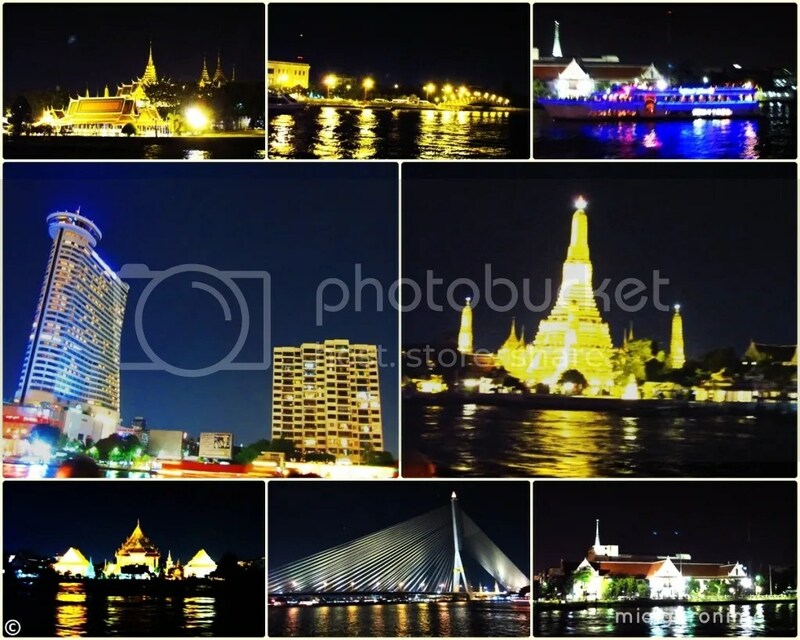 Bangkok gives a certain sense of warmth and familiarity that it easily welcomes all its eager visitors from all walks of life. And yes, we managed to visit backpacking hub of Bangkok, Khao San Road, where we encountered a melting pot of nations converging and immersing merrily in Thai culture. 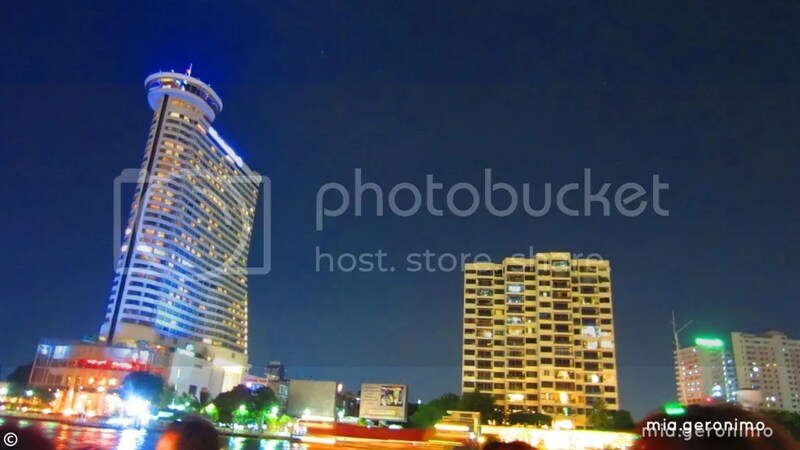 Patpong, on the other hand, was a different kind of experience, which was purely adult in nature as it was Bangkok’s red light district after all! Posted on July 29, 2012 by Mia G.
Going on a cruise has always been one of those things waiting to be crossed out in my bucket list. I always dream of going on a Carribean cruise or a cruise similar to it . 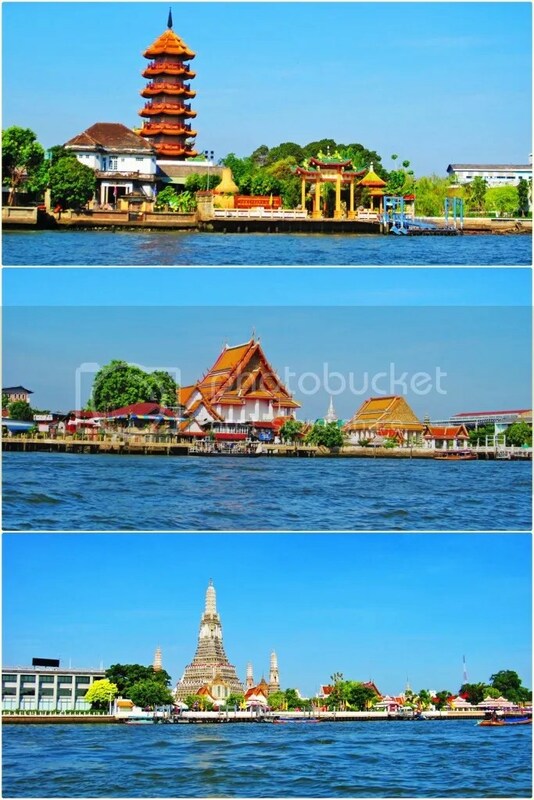 But upon learning that a Dinner Cruise along the Chao Phraya River was possible to do during our Bangkok trip, I immediately researched on it and consulted several travel review websites if the experience was worth it. It was a step closer to fulfilling the cruise dream, not quite but almost. Much of the reviews showed much appreciation towards the dinner cruise. So yes, we gave it a try. I could say that anything related to new and novel experiences make me act on such impulse and excitement. Being spontaneous as I am, ding ding ding, I immediately considered, “Why not try the cruise?” PLUS, I am dying to see the beautiful temples magnificently lit during the night! Posted on July 15, 2012 by Mia G.
Sawadee ka! After such an awesome adventure in Cambodia where we surrendered ourselves in amazement towards Angkor Wat, Angkor Thom and the whole Angkor Temple Complex, we made it safely to Thailand, “land of the free”. We woke up to another day of eager exploration as we walked on foot under the scorching heat of the sun and travelled using their public transportation system. 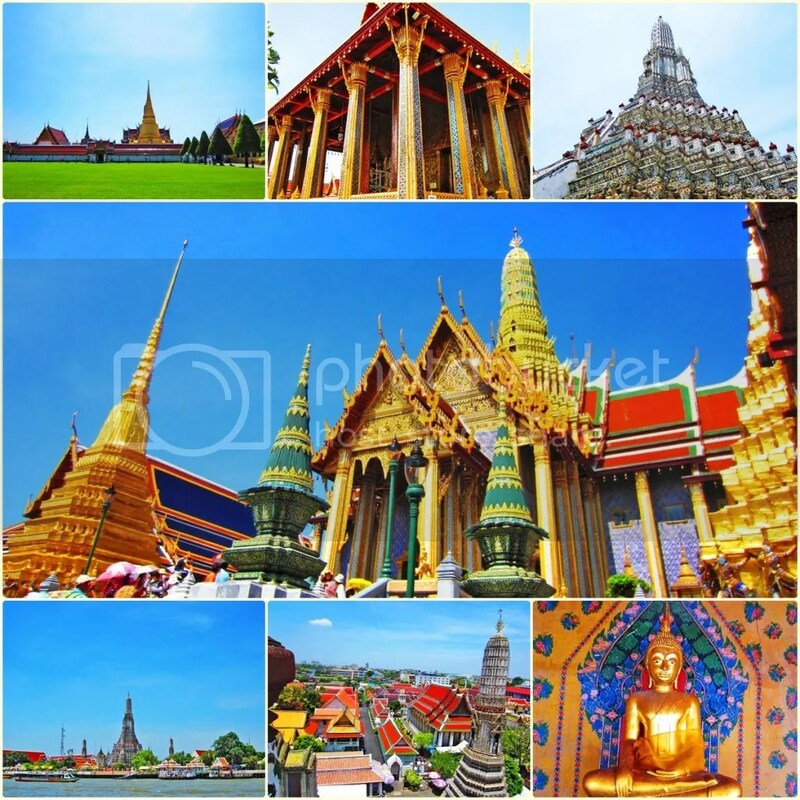 We explored the temples along the Chao Phraya River and were astounded with the grandeur and beauty of the Thai temples—mostly characterized by the glorious color of gold! 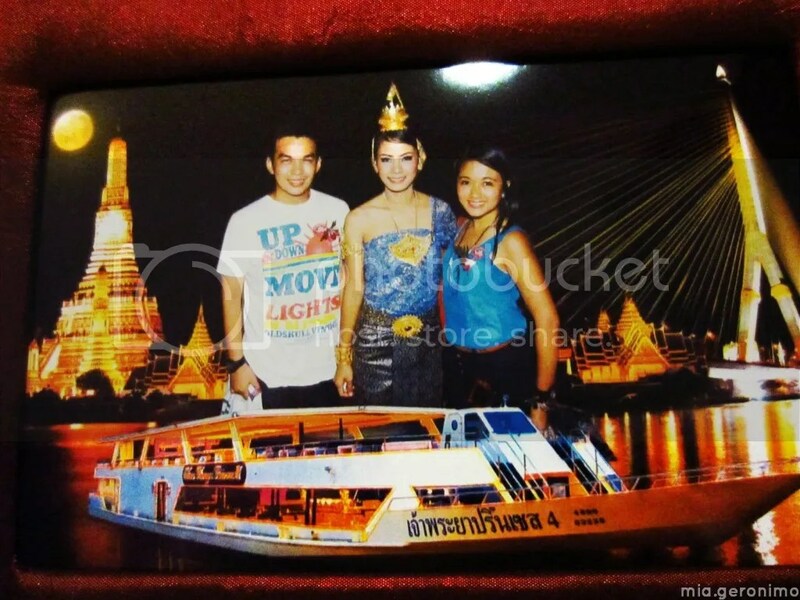 We started off with the Grand Palace, which gave us a preview of traditional Thai culture and beautiful architecture. 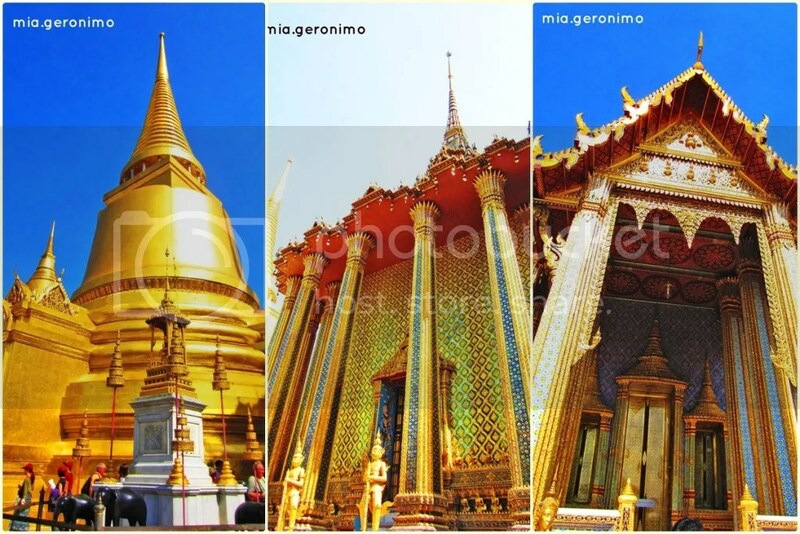 Past monarchs of the kingdom resided in the Grand Palace, but today, it’s used for ceremonial occasions of the country. Not all parts of the palace grounds are open for tourists and visitors. But fret not, because the areas accessible to the public would not be a disappointment.